Things To Do In Greece For An Epic Mediterranean Vacation! Often talked about for its rich history and ancient civilization, the beauty and diversity of Greece often get overlooked. 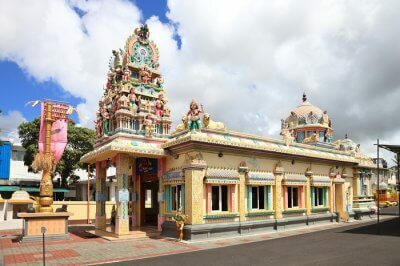 The country offers a tantalizing mix of gorgeous islands, charming villages, vibrant nightlife, and of course, an extensive insight into how Western Civilization was formed. As you plan ahead for a vacation in Europe, divulge into some of the most exciting things to do in Greece to make your vacation an unforgettable one. For a country of Greece’s size, the variety of sightseeing places ranging from azure blue waters to snow-clad mountain peaks is amazing. Its diverse nature and topography make Greece an all season destination. Located south of the Greek mainland, the island of Santorini is fast becoming one of the most frequently visited islands in Europe. It is best known for the charming houses in its multiple towns that are painted in bright white and blue. The evenings on this island witness one of the best things to do in Greece. 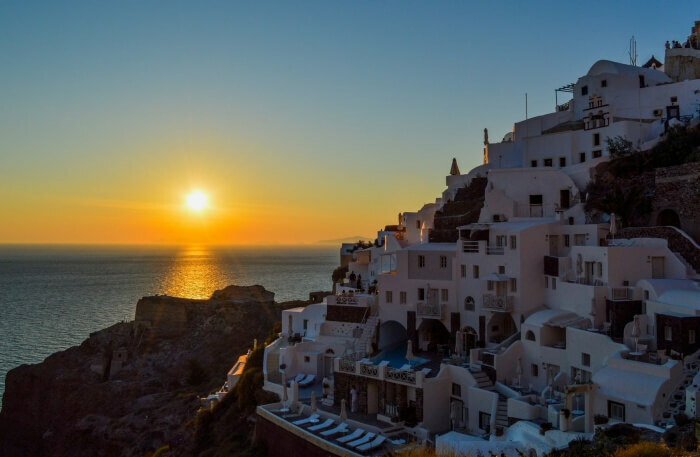 Watch the romantic sunset in Santorini as it looms over the gorgeous towns and gives the island like a fresh pair of clothes for the evening that is colored white and yellow. 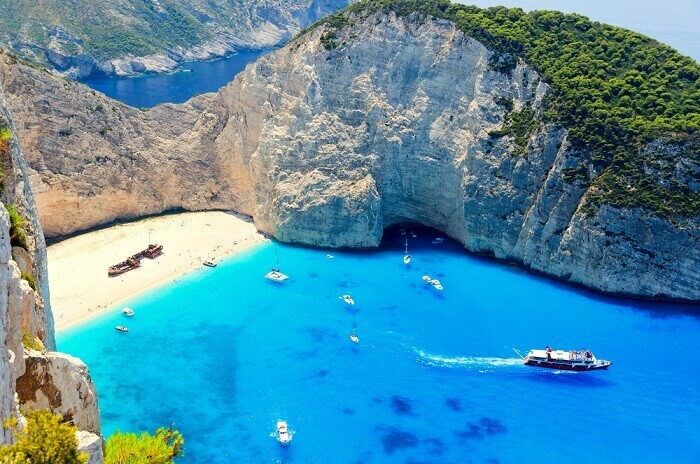 Located on the southern Greek island of Zakynthos, Navagio Bay or Shipwreck beach is a picturesque cove that leads to a beach with a shipwreck. The boat hasn’t been removed since it broke down and now the rustic vessel located amidst azure blue waters and green cliffs has become an attraction for tourists. 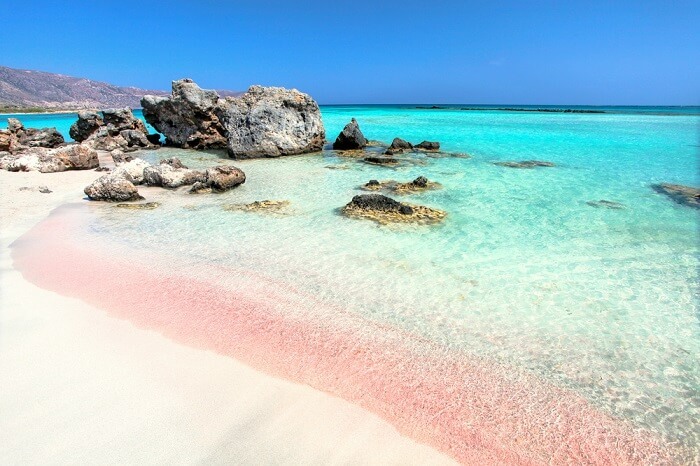 One of the top things to do in Greece is to take a trip to Crete Island and witness the rare natural occurrence of pink colored corals on the white sand beaches of Elafonissi. 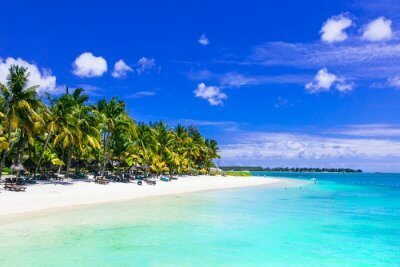 The beach is very well connected by land and sea, as a lot of local tourists looking for a Mediterranean holiday flock to the island in the summer months of July to August. The bus ride from Chania to Elafonissi costs INR 780 per person and the buses from Chania start from 07:45 am and depart until 09:00 am. Whereas, the return bus from Elafonissi leaves at 16:00. 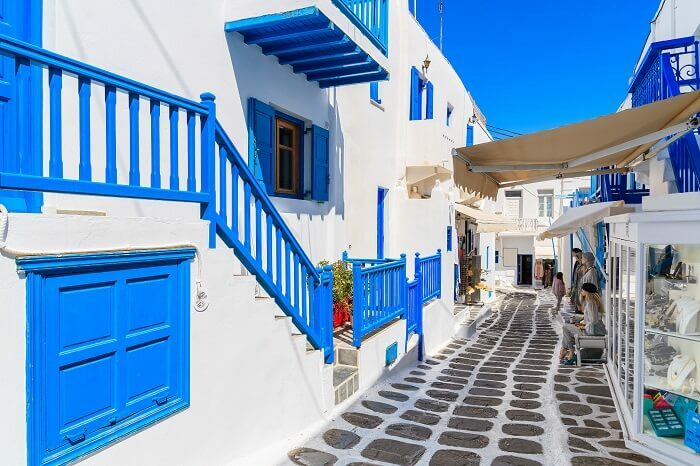 As you set foot on one of the most traveled islands in the Aegean Sea, you will notice a maze of narrow streets and alleyways surrounded by beautiful houses and small shops painted a bright white and blue. The colorful vibe on Mykonos Island will lift your spirits and compel you to get lost in its streets and pathways to find a picturesque place at every corner. Corfu Island is known to be one of the most scenic islands in Greece. With its lush landscape and top-notch resorts, the island has quickly climbed up the list of luxury destinations in Greece. 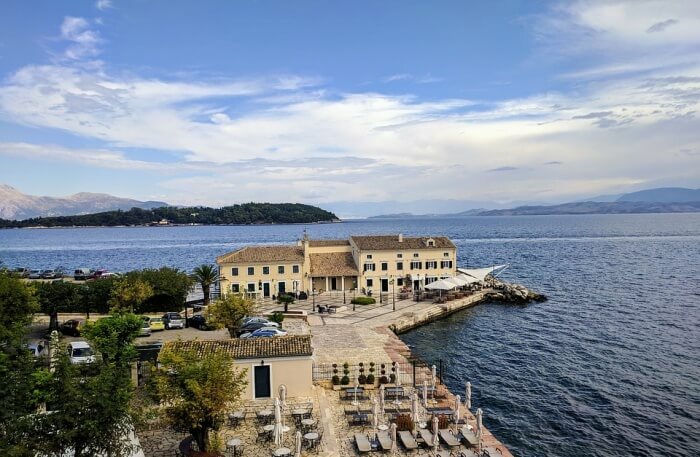 With the growth of tourism, the island gives a very cosmopolitan view from the outside, whereas the interior parts of Corfu are still filled with beautiful tiny villages that bear the rich Greek heritage. A lot of things to do in Greece have a sense of adventure and exploration about them. 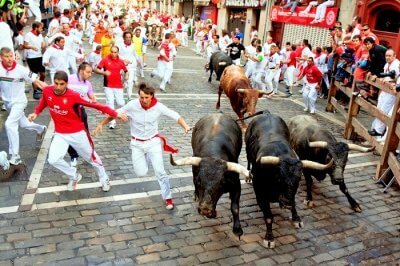 Most of these activities take you off the marked path into places that give you adrenaline pumping experiences. 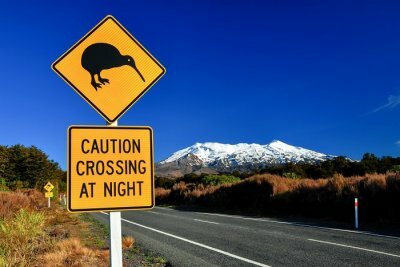 So whether it is snow-capped mountains, coves, coral reefs, ancient ruins, or caves; you just have to pick your vice and enjoy what satisfies your thirst for adventure! Cave exploring is one of the lesser known activities in Greece that definitely deserves a thought. 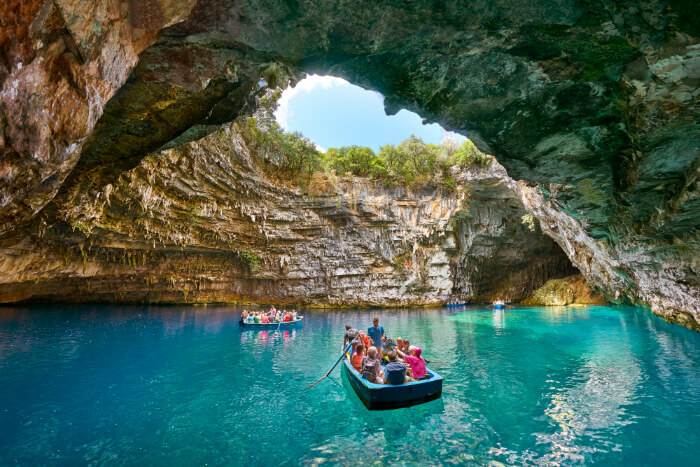 Travel to the island of Kefalonia and take a three-kilometre boat ride into the Melissani cave to reach the shores of Melissani Lake. It is lit up by natural sunlight which comes in from a huge circular opening towards the sky giving the surrounding a paradisiacal feel. What was famous a few hundred years ago as a pirate hideout, has now become a beautiful sightseeing place for tourists. Sailing in the bright summer sun is one of the popular activities in Greece that you will find tourists doing. Enjoy the Greek summer with a day-tour on a sailing boat to the caves and rock formations around Kleftiko Beach on Milos Island. There are many things to do in Greece that highlight the beauty and diversity of the Greek Islands. One such way to explore the island of Santorini is to go on a 10-km hike from Fira (the capital of Santorini) to the town of Oia. In order to enjoy the scenic view of Santorini to the fullest, it’s better if the travelers don’t follow Google Maps and just stick to the markers on the route instead. When people think of Greece, they often imagine history and fancy touristic islands. However, when the winter months come, many hill stations in the Greek mainland get snowfall that forms ideal conditions for skiing. 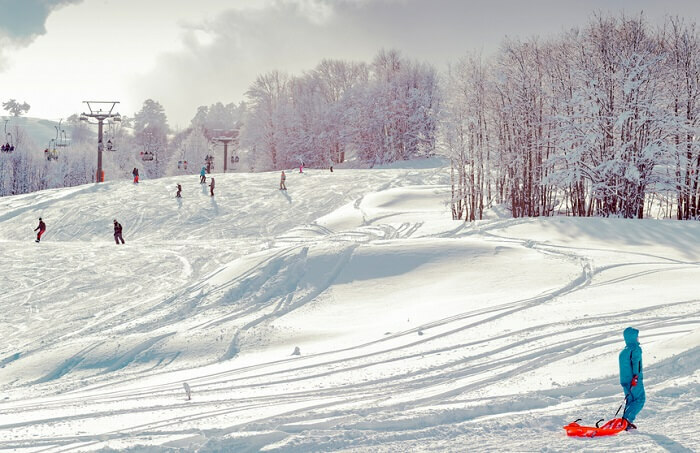 Although the Ski season in Greece is spread out from December to May, the best time to experience the thrill skiing in fresh snow is during the months of January, Feb, and March. 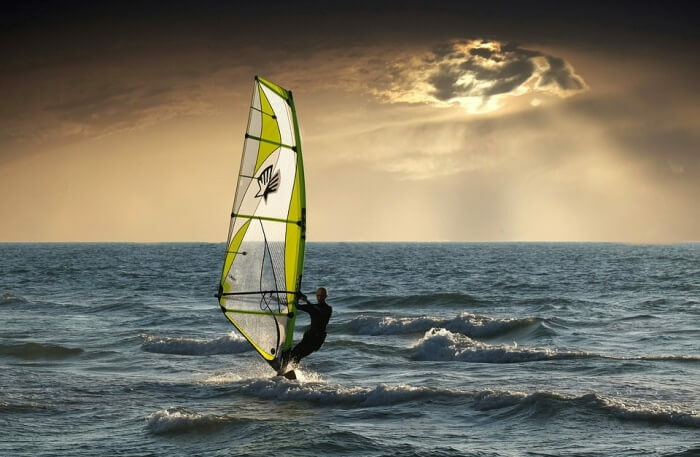 The Mediterranean summer and long coastline make water activities in Greece the most sought after adventure sports. 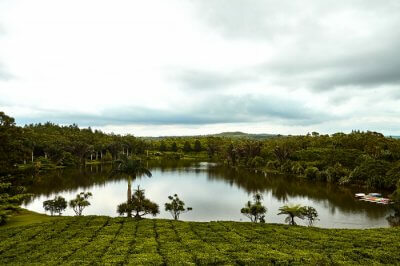 An exciting past time that is often pursued by adventure seekers and curious tourists. Easier to learn than surfing due to the supporting sail, Windsurfing has plenty of scope in Greece due to windy conditions required to enjoy it to the fullest. No trip to Greece can be complete without visiting its ancient ruins, colossal museums, and intriguing ruins. Explore the roots of human history, and witness how the pillars of our modern society were laid by our ancestors thousands of years ago. 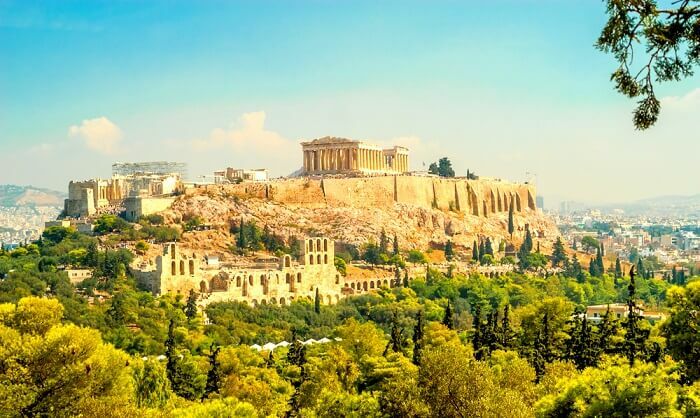 The Acropolis of Athens is a citadel located on top of a huge 70-feet rock in the city of Athens. Built in fifth century BC, it is considered by many historians as one of the world’s most perfectly built building by the most advanced civilization for thousands of years. Located in Northern Greece are the incredible Monasteries of Meteora. 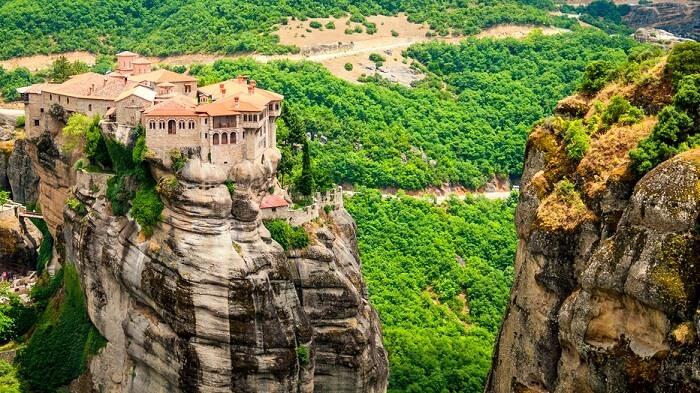 What brings these places of worship in the list of things to do in Greece is the fact that there are 6 stunning monasteries built on separate cliffs suspended more than 100 feet off the ground. 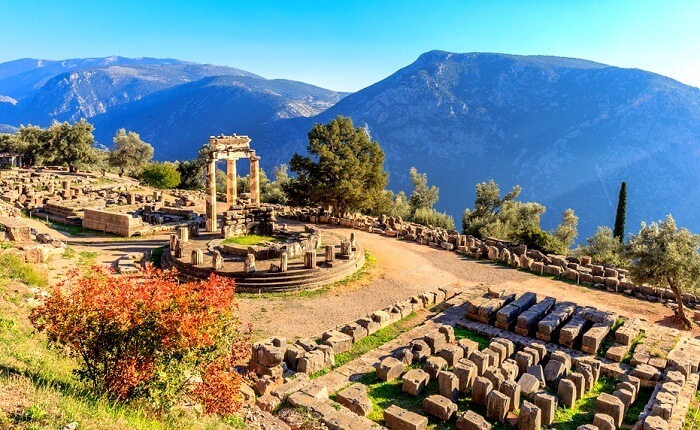 Located near Mount Parnassus, Delphi is the ancient site where the legendary Oracle took all its decisions regarding the issues facing the ancient Greek civilization. It is advisable for tourists to visit the ruins first and the museum later to get a better understanding of the ancient city of Delphi. Mystras is a 600-year old abandoned town in the region of ancient Sparta. After its inhabitants moved out, the Greek government has ever since preserved the beautiful Byzantine buildings as places for sightseeing. 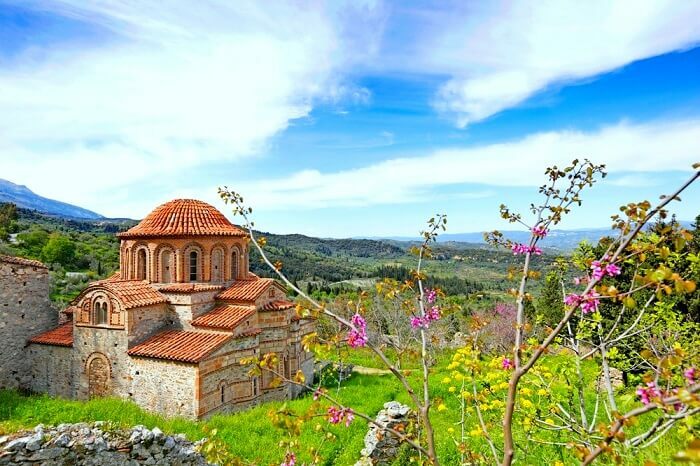 The town of Mystras is a great place for history enthusiasts to explore medieval churches, castles, and fortresses. 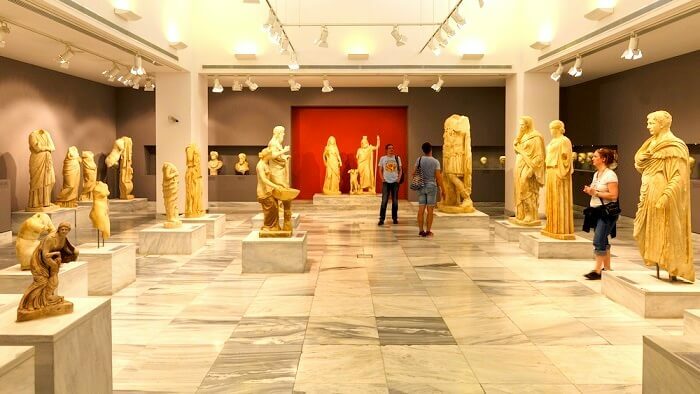 If you’re a history lover then visiting The Heraklion Museum has to be on the top of your list of things to do in Greece. This museum has been given the prestigious title of the biggest and most important museum of Greek history. The museum is renowned for its Minoan art that dates back over 8,000 years. Once you’re done with exploring ruins, diving in deep blue seas, and hiking through the landscapes, the nightlife in Greece will give you plenty of opportunities to party and relax. Along with that, try Greek cuisine to get the most of the culture while you’re present there. When you’re in Athens, stop by this famous bar called Baba Au Rum to enjoy their signature rum infused cocktails. 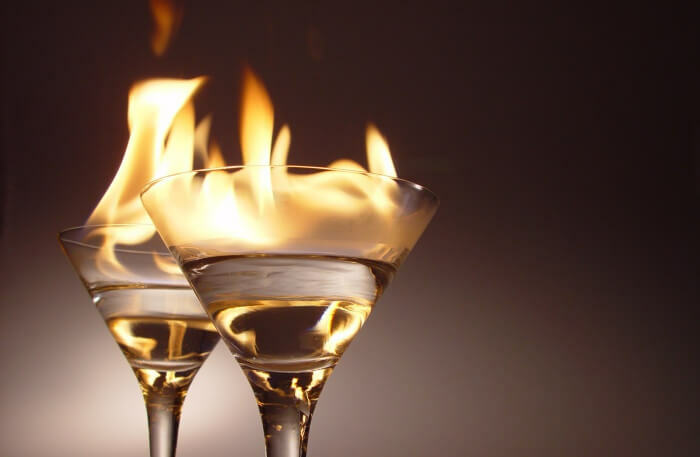 The place gives its customers a vividly pleasing experience of tasting different spirits in new forms made with years of hard work in perfecting the art of mixology. To add to its credibility, Baba Au Rum was voted in the top 50 bars of the world in 2016 by the Worlds50Best bars organization. Before 2012, Pittaki Street was a dark and shady lane that pedestrians avoided at all costs. 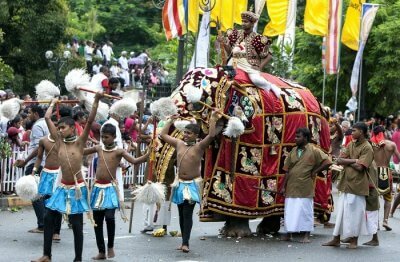 But all that changed when an NGO decided to give that place a makeover by illuminating the streets with hundreds of lamps, lanterns, and lampshades. 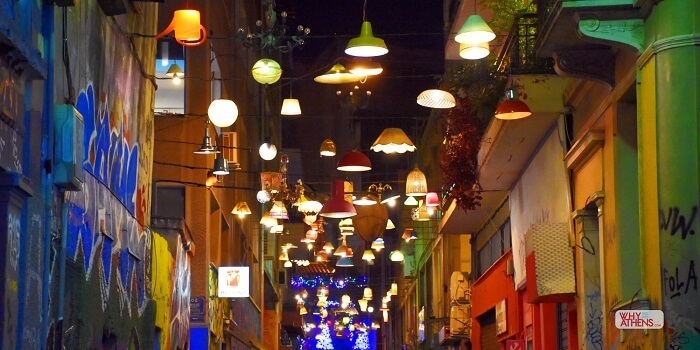 Today Pittaki Street has transformed into a magical street in Athens that houses multiple cafes and bars that people love going to. It is known that wine has been made in Greece for over 6000 years. With that kind of experience, surely the liquor coming from the Greek taverns and wineries must be worth trying. 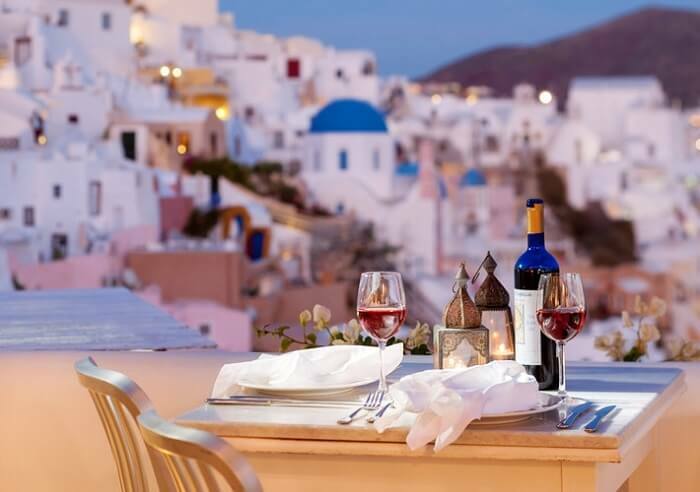 Although wine making has spread throughout the country, the best wine is still considered to be from Santorini. 19. 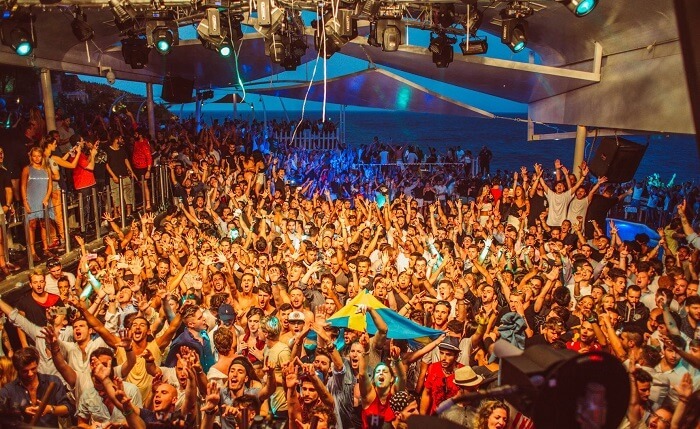 Party In Mykonos Like There’s No Tomorrow! Apart from the scenic towns painted in a bright blue and white, Mykonos is also known for its vibrant and energetic nightlife. With bars and pubs expanding their outreach to artists around the world, Mykonos has a steady influx of tourists who love to party and have the time of their life. 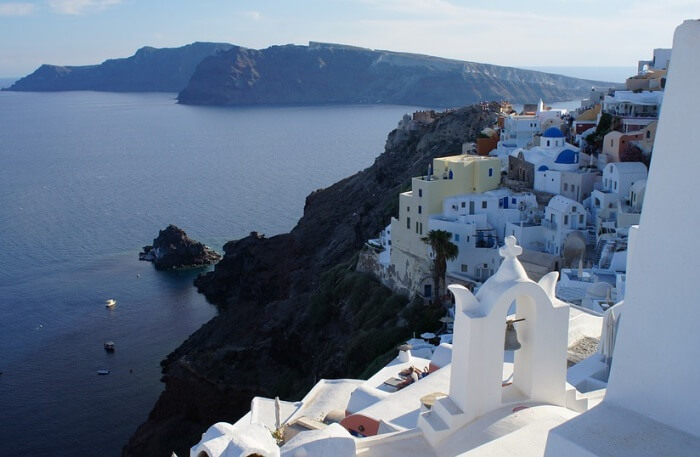 Suggested Read: Santorini Honeymoon Is The Romantic Escape Newlyweds Dream Of! 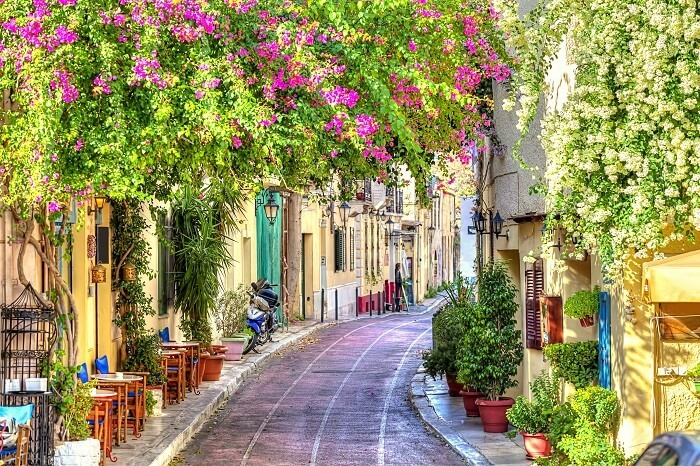 Like most of the European countries, the best cuisine in Greece is found in many of its artistic and charming street cafes. Trying Greek cuisine is definitely one of the top things to do for leisure travelers who love to immerse into the culture of the place they are visiting. 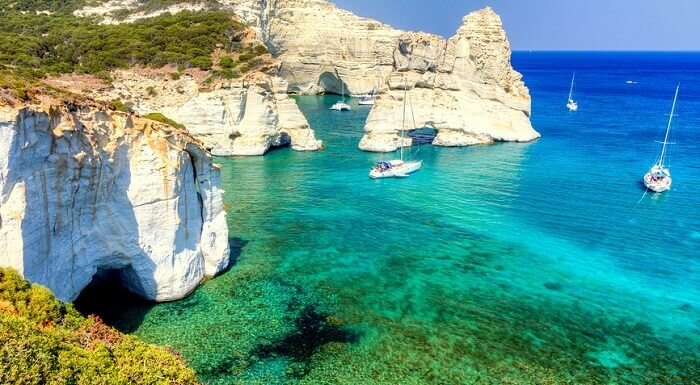 Still wondering how you hadn’t thought of Greece as a possible vacation destination before? We hope this list goes a long way in convincing you to try some, if not all, of these things to do in Greece on your next vacation in Europe. Make sure to customize your package down to every little detail and turn this trip into a once-in-a-lifetime experience!